Read about - Eagle Bluff below. As you head along the Denham-Hamlin Road (World Heritage Drive) in Shark Bay you will see a sign post to Eagle Bluff (about twenty kilometres south from Denham) . A boardwalk has been built along the edge of the cliff which has great views of the water and two small limestone islands just off the coast that are breeding colonies for Osprey or Sea Eagles. 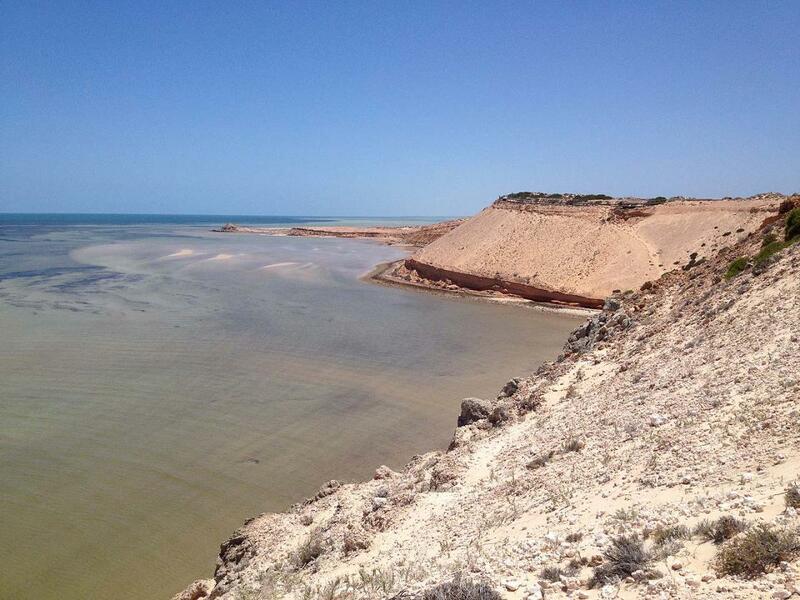 In the distance you can see the Useless Loop salt pile on the other side of the bay, and during summer dugongs come in to feed on the massive sea grass meadows in the Shark Bay area. The boardwalk extends over the ocean and the water is clear enough to see a variety of fish and maybe even a shark coming in to feed. There are great signs along the walkway explaining the plants and animals in the area. I would suggest that you take a pair of binoculars to ensure you see as much as possible. have you been to Eagle Bluff? Explore Eagle Bluff - Denham with RvTrips and find out where to stay, what to do and what to see. Helping caravan, motorhome and camper owners have a great holiday.